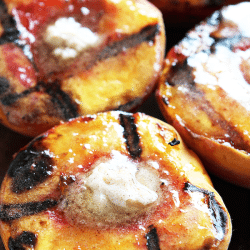 Cinnamon Sugar Grilled Peaches are a delicious dessert that can be made quick. 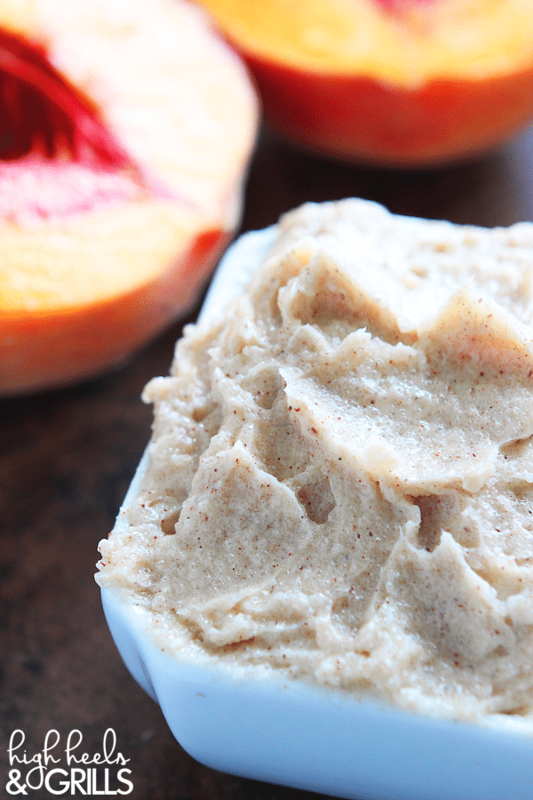 They’re topped with a cinnamon sugar butter and taste like little peach cobblers, no joke. Believe it or not, Sarah and I are trying to cut back on our sugar intake. Like most Americans, we find ourselves slightly addicted to the sweet stuff. Nothing says WEAK like having a sugar cookie win a battle of wills. No bueno. So, we’ve been looking for ways to eat healthy items, but make it feel like dessert. 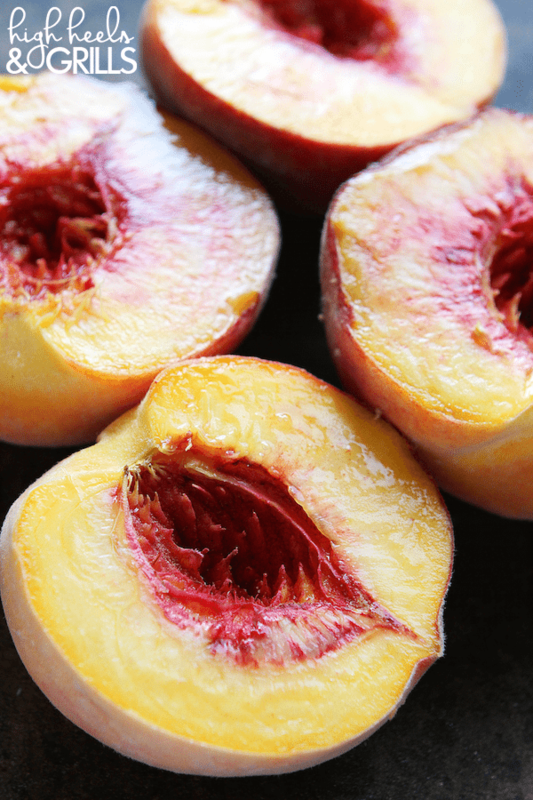 In fact, these peaches are delicious grilled on their own. The sugar in them gets all caramel-ish and wonderful. 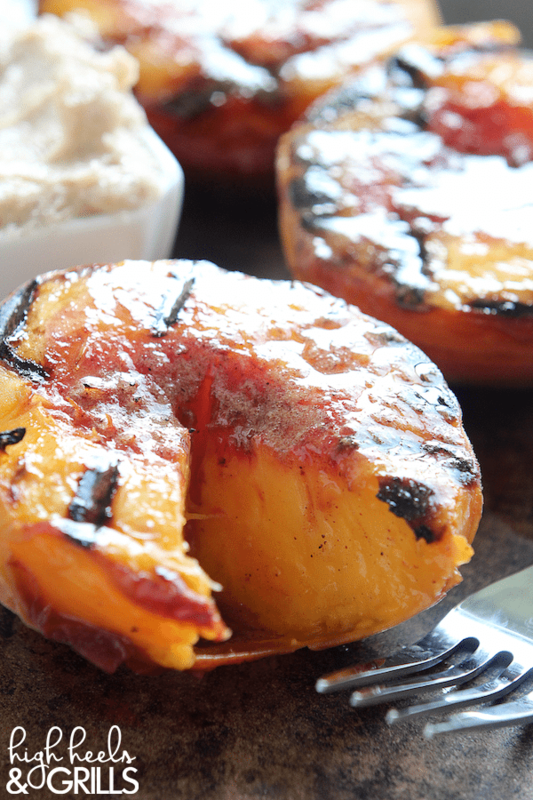 If you want a truly pure, unadulterated healthy dessert, just grill a peach. Now, you add in a smidgen of cinnamon-sugar butter? Poor man’s peach cobbler right there. Any reader of ours knows we always use butter, stamped with the REAL® Seal, and you should too. It proves that it’s made with real dairy and has all the health benefits that come with it. Anyway. You add that butter and these suckers are irresistible. I ate 2 of them on my own. That’s four halves for you mathematically impaired peeps. I nearly got full on peaches. Just peaches! That’s how good they are. Enjoy! 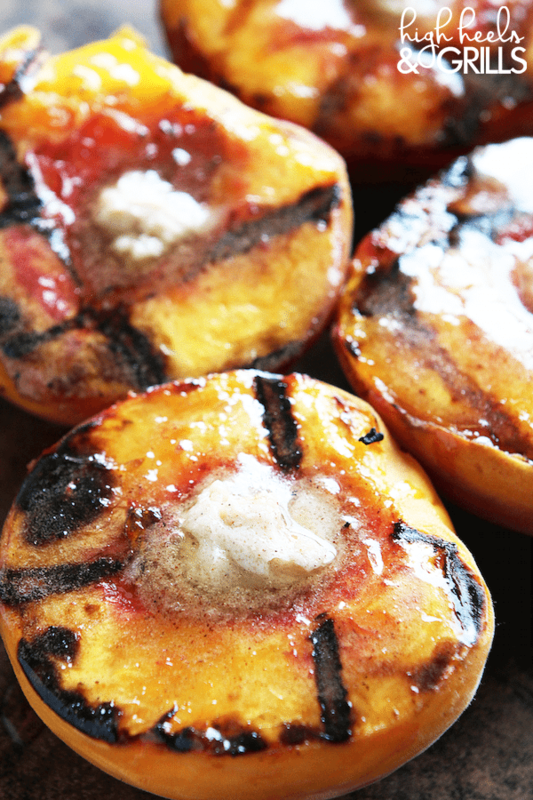 Cinnamon Sugar Grilled Peaches are a delicious dessert that can be made quick. They're topped with a cinnamon sugar butter and taste like little peach cobblers, for real. 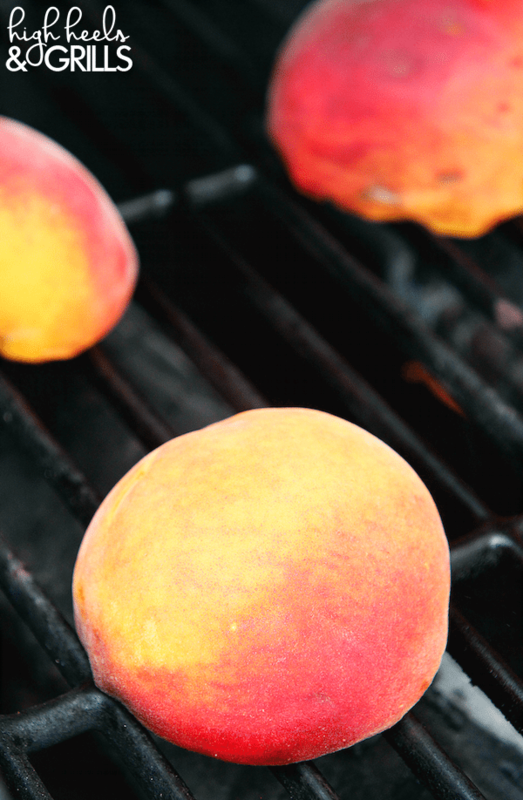 Lightly baste the peaches with the oil and place face-down on the grill. Cook until the tops are slightly softened when you touch them. There's no need to move them or check them, just wait until those tops are slightly soft! How about a similar recipe with apples? I’m an Upstate New Yorker, and apples are my thing! So is grilling, so… Give me both and I’m a happy girl!!! But I am really excited about trying this one – maybe with that pork tenderloin in the freezer? Hmmmmm…..